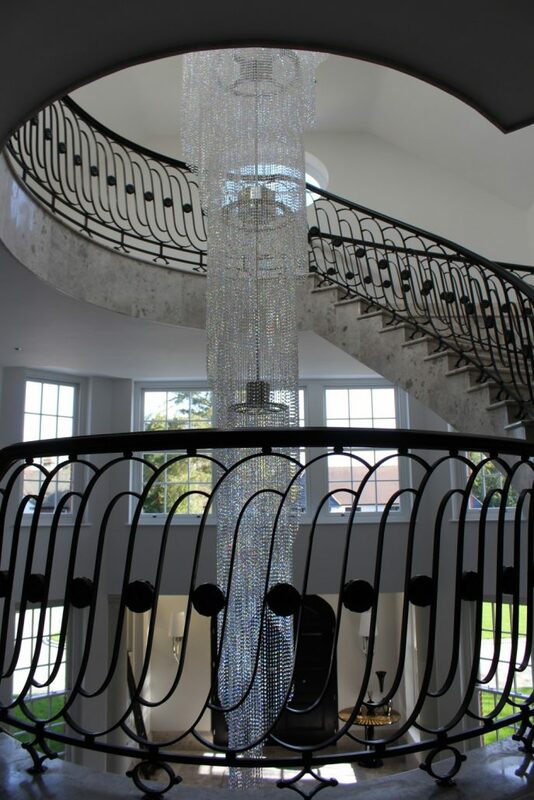 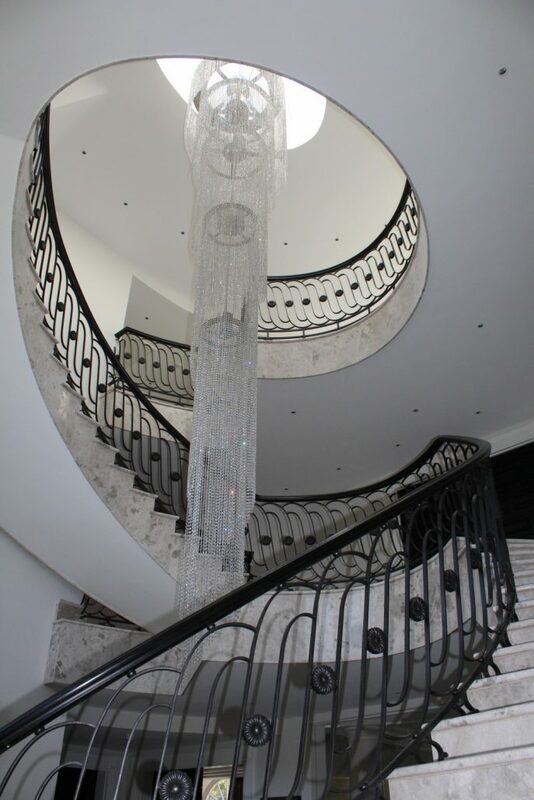 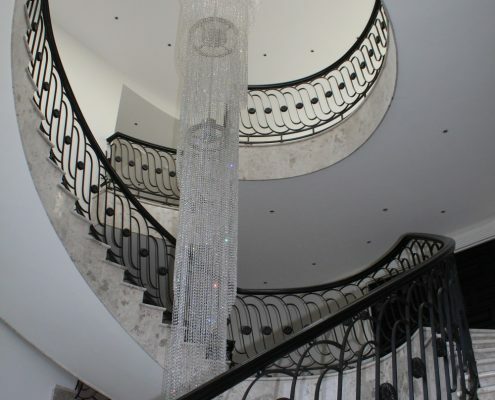 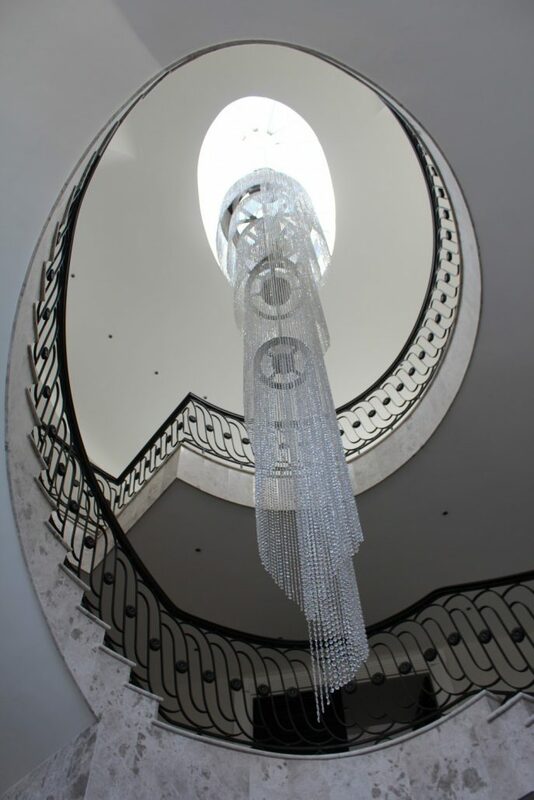 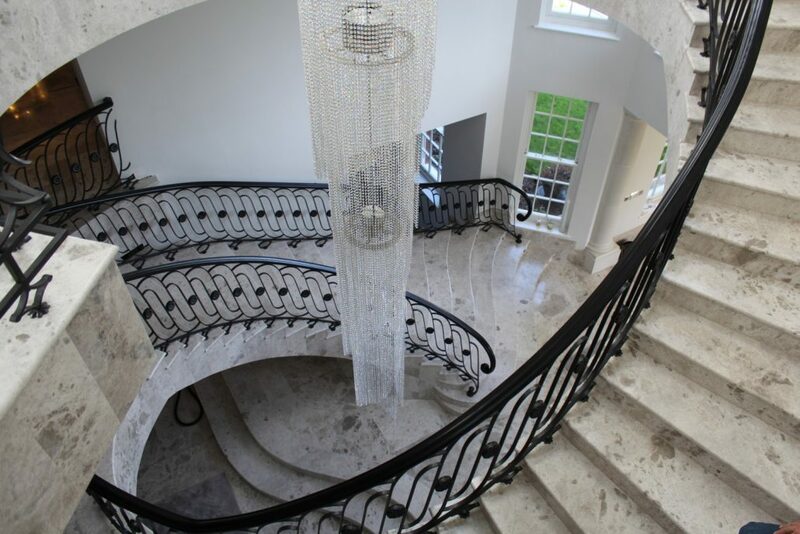 One of our favourite projects from 2016, this stunning feature staircase took centre stage in a new home in Kent. 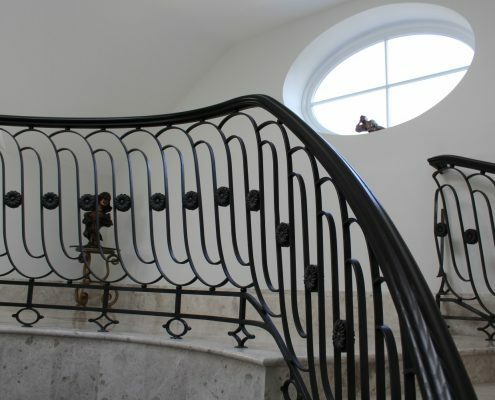 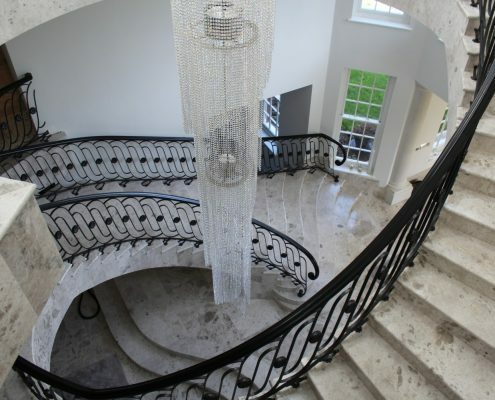 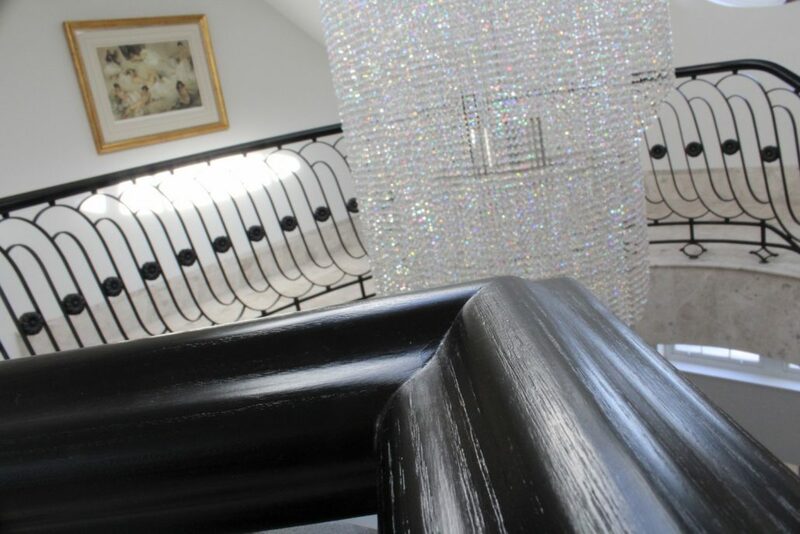 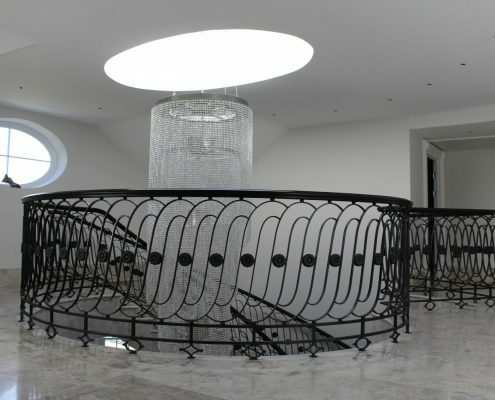 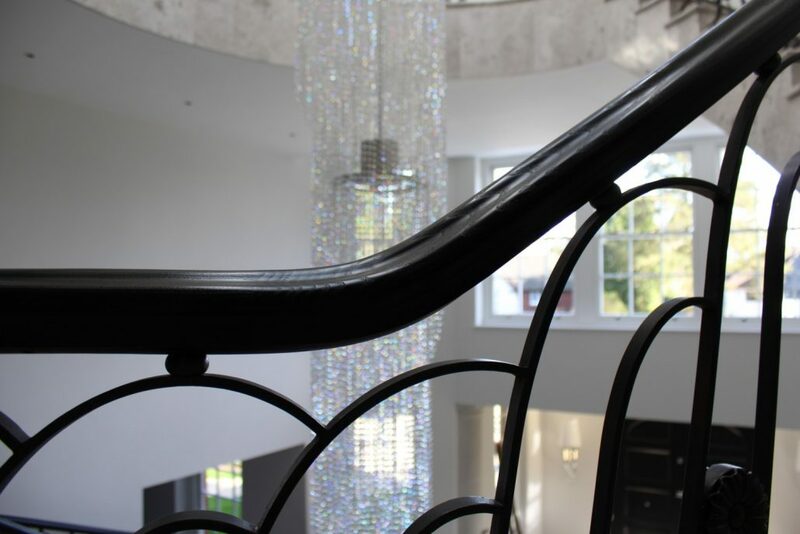 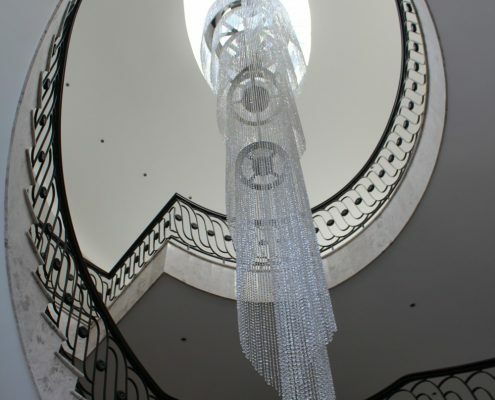 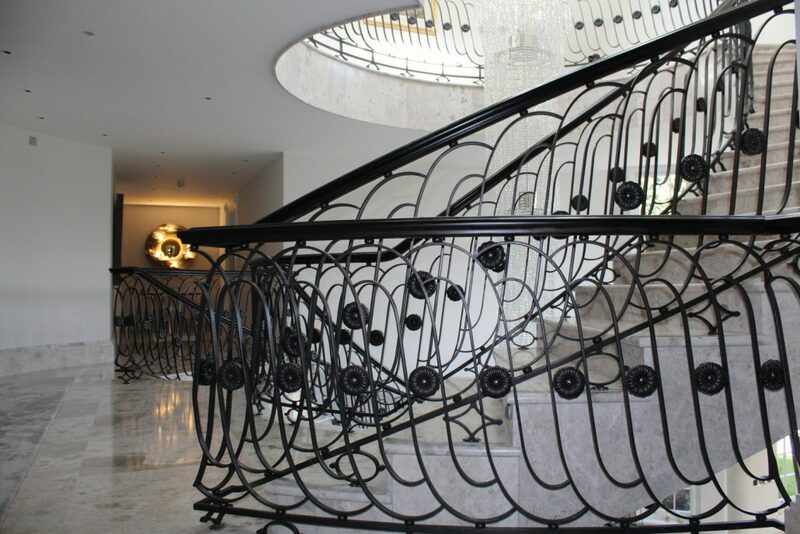 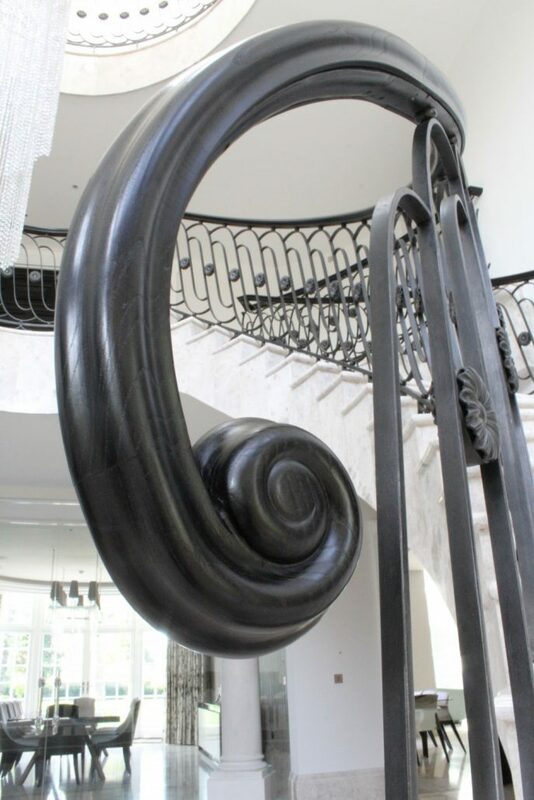 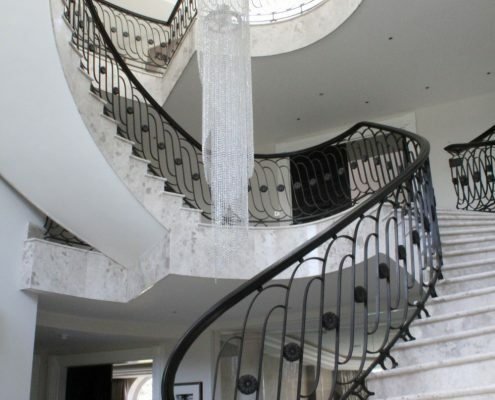 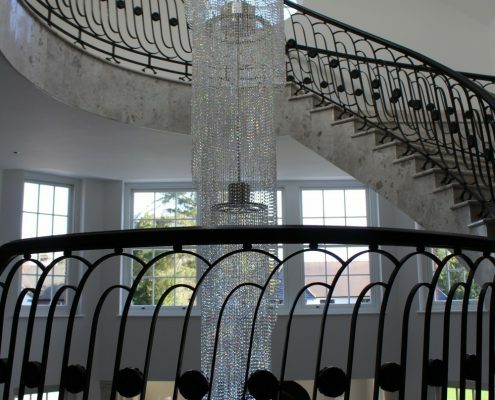 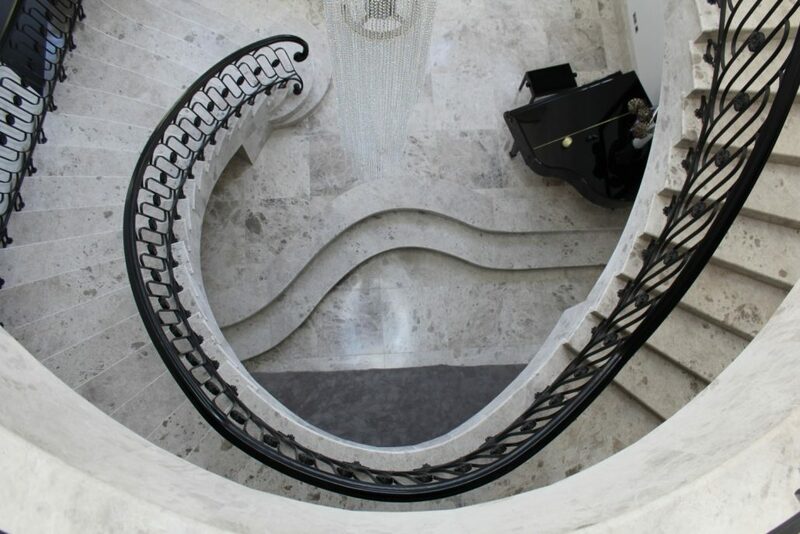 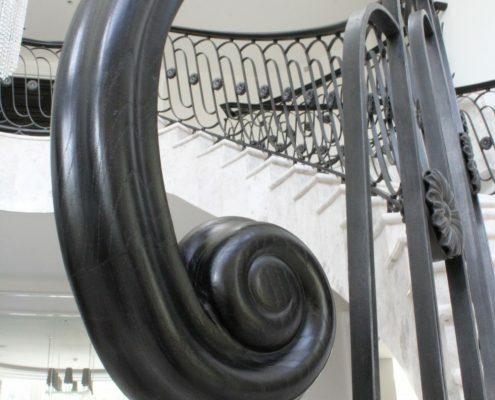 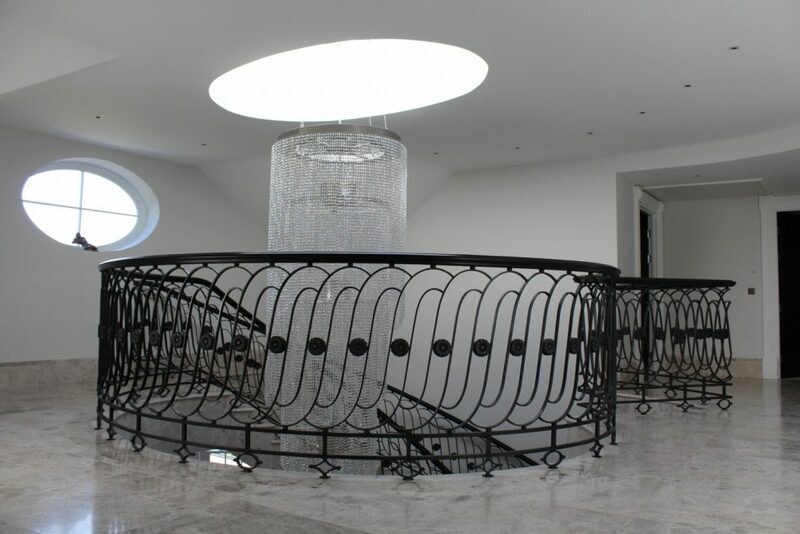 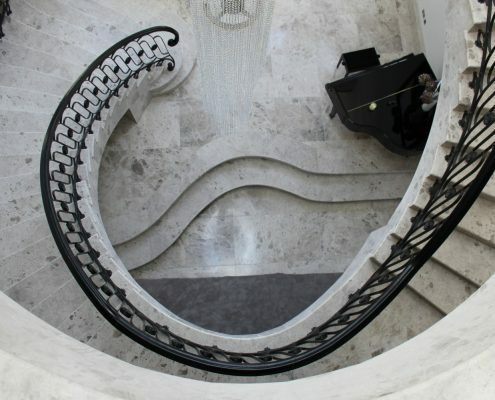 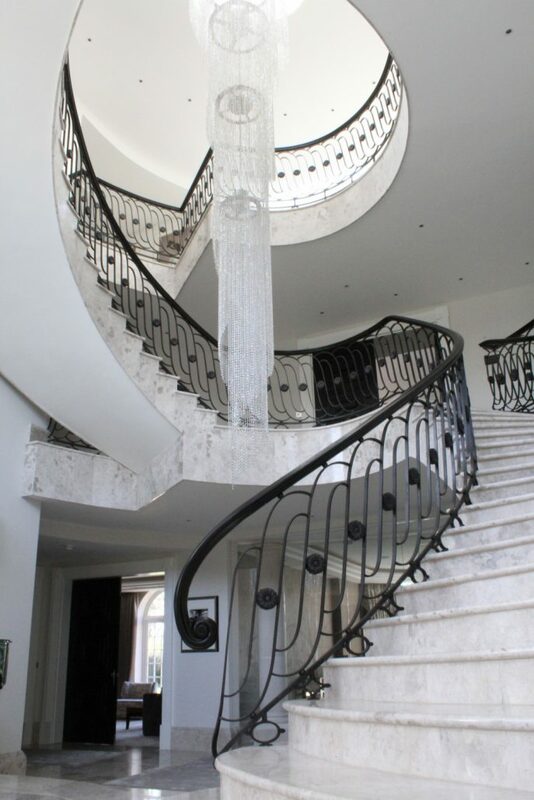 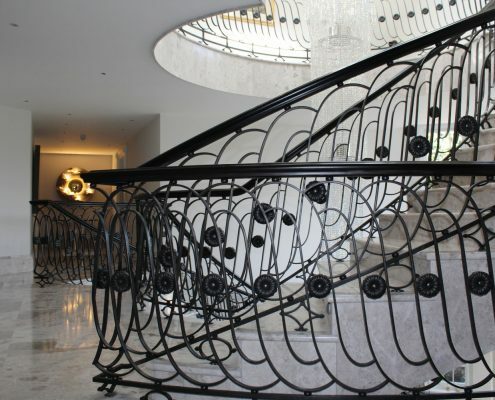 Working directly for the client, our team liaised with the blacksmith and worked incredibly hard to create a handrail which was finished in jet black. 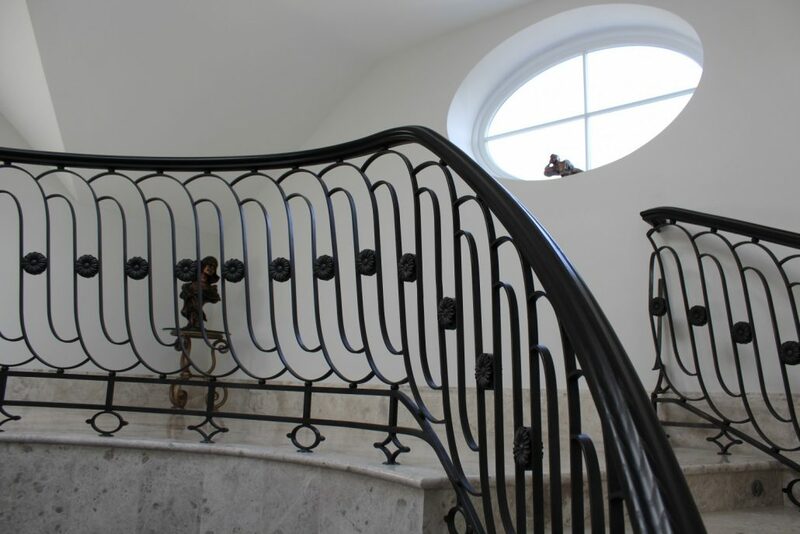 Having surveyed the steel core rail, we presented a range of design options for the client, in the end going for a classic “frogs back” style handrail, manufactured in ash and then stained jet black before French polishing. 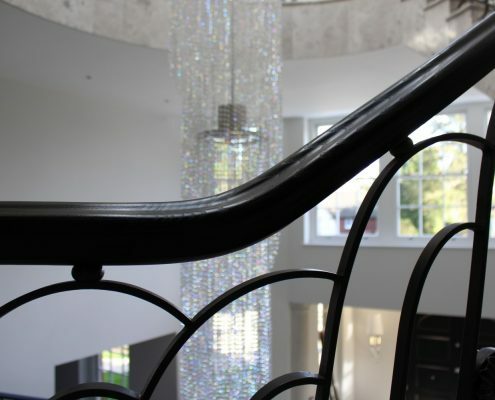 The handrails were installed and finished in less than a week, again showing why we are the UK’s number one handrail supplier.